The Accessibility Advisory Committee (formerly Advisory Board on Services for Persons with Disabilities) is a resource group reporting directly to City Council on issues, needs and services related to persons with disabilities. The committee is also a source of information and advice to City Council, City departments and citizens. In addition to her role as a full-time teacher, for the past 10 years Janet has also taken on the role of Department Head for Special Education at Austin O’Brien High School. Janet advocates for youth who are developmentally delayed by working with multiple agencies and stakeholders to create, support and expand services for these exceptional students. Janet believes in creating a dynamic, strong, caring inclusive community where everyone has equal access to programs and services. Janet strives to develop programs that enhance the quality of learning for all stakeholders and she strives to offer inspiration to others and to demonstrate that together we can help everyone achieve their goals and dreams. In 2009, Janet was honoured by the Alberta Government with an Excellence in Teaching Award. She represents her colleagues on the Executive of the Alberta Teachers’ Association of Local 54 Edmonton Catholic Teachers. Janet also works with the ATA committee at GETCA (Greater Edmonton Teacher Convention Association) and contributes her time and efforts to the annual Teachers’ Convention in Edmonton. Jessica is an Adapted Physical Activity Consultant with The Steadward Centre for Personal & Physical Achievement in the Athlete Development for Parasport program. She graduated from the University of Alberta with a Bachelor of Kinesiology degree and is passionate about helping individuals reach their sport and fitness goals. She believes everyone should have equal access and opportunity to pursue sport and leisure activities. Jessica is excited to contribute her knowledge and skill set to the Accessibility Advisory Committee. She is proud to identify as an Edmontonian and be a part of this amazing city. She looks forward to contributing to the continued development of Edmonton infrastructure and spaces, further establishing safe, inclusive, and accessible environments for all Edmontonians to come together. 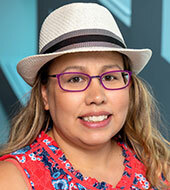 Erin was born and raised in Edmonton and is a member of the Whitefish Lake First Nation. Erin was injured in a car accident when she was seventeen years old, and, as a result, is a paraplegic. Erin continued high school while at the Glenrose Rehabilitation Hospital and began studying at the University of Alberta the following September. Erin obtained her Bachelor of Arts degree from the University of Alberta in 2007. Following that, Erin attended law school at the University of Alberta and was called to the Alberta Bar in 2012. While in private practice, Erin worked in civil litigation, and more recently, has worked as a corporate solicitor in the public sector. Erin’s community and volunteer work has included providing volunteer legal services with the Edmonton Community Legal Centre and the Civil Claims Duty Counsel Project in the Provincial Court of Alberta. Erin has also volunteered as a mentor with the Big Brothers/Big Sisters organization. Aleem Jaffer became a member of the Advisory Board on Services for Persons with Disabilities to make a difference. He brings valuable insight to this Board as he is a person with a physical disability and uses a wheelchair and crutches, so he understands first-hand the barriers that exist for persons with disabilities. 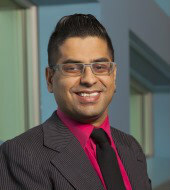 Aleem has a Business Administration Finance diploma from NAIT and a Bachelor of Management in Human Resources and Labour Relations from the University of Lethbridge graduating with Distinction. Aleem currently works at EmployAbilities where he coaches individuals with barriers to find meaningful employment. Aleem serves on different boards within the community as well and he has been a recipient of such awards as the “Leaders of Tomorrow Awards”. Crystal Jones has lived in Edmonton since 2001. Her roots begin in British Columbia before her parents decided to relocate to Hinton, Alberta. She graduated from the University of Alberta in 2009 with her Bachelor of Physical Education, specializing in Adapted Physical Activity for Special Populations. She worked for Canadian Tire for 16 years, wearing different hats throughout the year, before deciding it was time for a change, and made a transition to the City of Edmonton, working first in Support Staff Services and recently took on a new Clerk role in Financial Services. Crystal has been deaf since the age of 2, due to meningitis. She has been active in the Deaf and Art communities for a number of years, both as an advocate or participant. 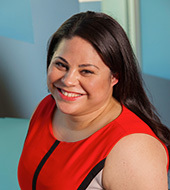 As of November 2015, she accepted a role as Director at large for Alberta Association of the Deaf. She hopes to help improve the lives of deaf Albertans and educate others on deaf topics and issues. She has been a guest lecturer for a number of her old professors’ courses at the University of Alberta for almost 10 years. She primarily delivers lectures on hearing loss awareness for the course PERL 207: Adapted Physical Activity for Special Populations, and hopes to do more of these awareness lectures. Crystal keeps herself busy with gardening, painting, reading, working out at the gym, and is well known on social media for her favorite hashtag #allthingsgreen, as she loves anything that is green and alive. Tonia LaRiviere was diagnosed with Juvenile Rheumatoid Arthritis when she was 12 years old. Since then she has experienced various degrees of disability. Since 2015 she has been participating in para-sport, where she experienced first hand the difference that can be made in lives when the proper supports exist in a community. For over 20 year she has been working in communications and events supporting different not-for-profit festivals, campaigns and initiatives in the city as a publicist, director and board member. 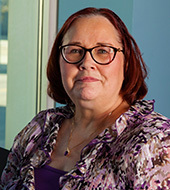 She currently sits on the Alberta/Northwest Territories Divisional Board of Directors for the Arthritis Society and has contributed to educational advancements at the Steadward Centre for Personal and Physical Achievement. 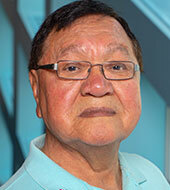 Edward Lavallee attended the University of Saskatchewan and has worked as co-editor of the Native People newspaper. He has studied Aboriginal history, spirituality and philosophy with elders during a five-year stint at the Indian Cultural College, now affiliated with the First Nations University of Saskatchewan. He has worked with Aboriginal organizations across Canada and for federal and provincial governments in various management positions. Presently he volunteers as an Aboriginal Advisor in Edmonton, sits on the Board of Directors of several Edmonton organizations and is president of the Edmonton Aboriginal Disability Association. Rinita is deeply passionate about social inclusion. She is currently completing a Master's degree on this topic at the University of Alberta looking specifically at how stigma impacts community participation of youth with disabilities. Her strong interest in this area of research is informed by nearly a decade of frontline experience working in the non-profit social service sector facilitating inclusion for youth of all abilities. When she is not on campus, you can find Rinita running in the river valley or having a chai latte at Remedy Cafe in Old Strathcona. She has lived in Edmonton for just over two years and has fallen in love with our city and the positive energy with which it teems. She is proud to call Edmonton home and is excited to help it continue to be an inclusive and vibrant city through her role as a member of the Accessibility Advisory Committee. Christopher Minchau was born with spina bifida and raised on a farm east of Gibbons, AB. He attended Gibbons and Landing Trail public schools and graduated from Sturgeon Composite High School. 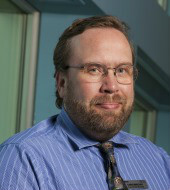 Christopher holds diplomas in Social Work and Human Resources Management through Grant McEwan College (University). He enjoys extensive involvement in the disabled community, working and volunteering with many different non-profit organizations. He has a rich history of almost 35 years in disabled sports, including wheelchair basketball, wheelchair racing and sledge hockey. Christopher is passionate about full inclusion of people with disabilities in all aspects of daily living. Mark was born and raised in Inuvik, NT. Mark spent time recovering in Edmonton at the U of A, and Glenrose hospitals after a car accident at 15 years old. As a result, he is now a low level quadriplegic. Graduating with a Business Administration Diploma in 2011, he worked in administration at a college in his hometown until 2013. Mark has now made Edmonton home for the last couple years, living downtown. He enjoys travelling, spending time with family, and attending many of Edmonton’s year round festivals. Jason is a born and raised Edmontonian. 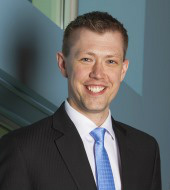 He attended the University of Alberta, attaining his Bachelor of Arts degree in 2011 and his Juris Doctorate in 2014. He was called to the Alberta bar in 2015 and is currently practicing tax law at a downtown law firm. Jason is aware of the issues facing individuals across the disability spectrum because of his parents, who work in homes across Edmonton assisting individuals with varying degrees of mental and physical impairments. Paige Reeves is first and foremost a wife, sister, daughter, and friend. 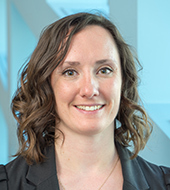 By trade, Paige is a Registered Occupational therapist and PhD Student in the faculty of Rehabilitation Medicine at the University of Alberta. 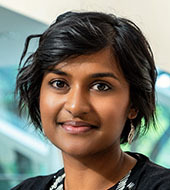 Her lived experiences as sister and friend to individuals with diverse abilities spurred her to consider research as a career path and are what continues to fuel her passion for the work she does. 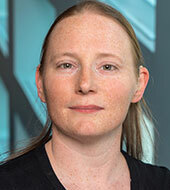 Her research interests include critical disability studies, social justice, social inclusion, and disability and identity. 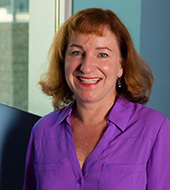 In her doctoral work she is exploring friendship and social connectedness amongst individuals with disabilities. 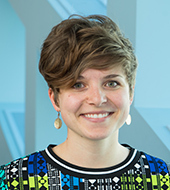 It is Paige’s hope that her research will uncover valuable information about social connection for youth with disabilities that can inform inclusion policy and the growth of community capacity to support individuals with disabilities to lead full, rich lives in the community. Paige is passionate about making change in her community and devotes much of her free time to local community work. She is a member of the Rotary Club of Edmonton Whyte Avenue and sits on the Rotary Employment Partnership Steering Committee. She has also co-founded a local community group, RootEd., which aims to increase social connectedness amongst adults with disabilities in Edmonton. Shelley Thompson is an Occupational Therapist who has worked for the last 27 years with a variety of disabilities throughout the age spectrum. Her private practice, FUNCTION, focuses on inclusive design and helping people make their environments work the best for them. Shelley is an active volunteer in the community and sits on multiple committees that look at safety and accessibility of the built environment and outdoor spaces. She is part of the grassroots group The Edmonton Wayfinding Project and actively participates in Edmonton events throughout the year. Shelley is passionate about making Edmonton a more inclusive and accessible city for everyone! Vanessa Van was born with severe and profound hearing loss, and she wears a hearing aid. She works full time with the City of Edmonton as a Travel and Training Coordinator. She is in the Accounting and Strategic Measurement program with MacEwan University, and attends classes part time. Her interests are gardening, travelling, reading, and card making. She has a hidden talent, she lip reads very well especially from a distance. She is a very motivated and detailed individual. Zachary was born and raised in Edmonton. He has been a spokesperson on disability issues in the media since he was 18 years old. 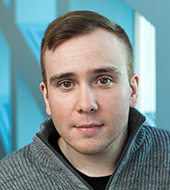 Zachary currently works full time for Spinal Cord Injury Alberta as a Communications Coordinator. Zachary was a recipient of the Queen’s Diamond Jubilee Medal in 2012 and is an alumni of the Governor General’s Canadian Leadership Conference. 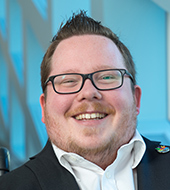 Locally, he has been the Co-Chair for the International Day for Persons with Disabilities Committee since 2011 in Edmonton and sits on the Board of Directors for the Paralympic Sports Association. His personal interests include cheering on the Edmonton Oilers and spending quality time with his wife Tannis and family.